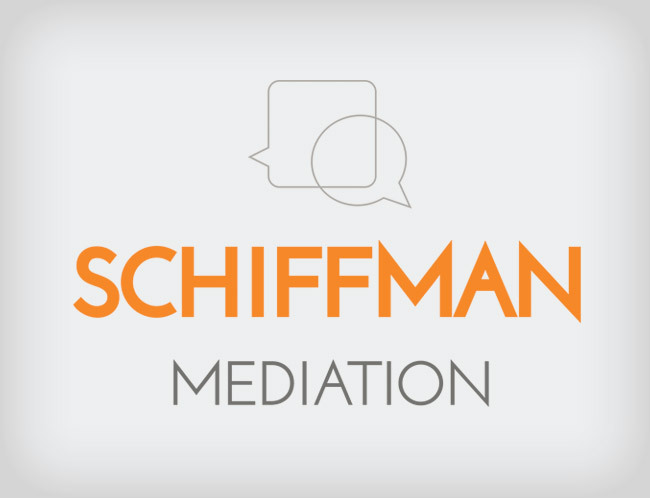 Schiffman Mediation provides services in divorce, custody, conflict coaching, and workplace mediation. We wanted the company to appear credible and professional but allow people to feel comfortable coming in to speak freely with Sarah, their mediator. We chose a nice sans serif font with bold and light styles paired together to give a youthful and modern look. The bright orange color choice works well because it easily communicates energy and friendship, telling people they can feel at ease speaking to Sarah. The speech bubbles used in the icon complete the look, giving us a nice personality for the brand and show the two-way communication that goes on with their mediation services.